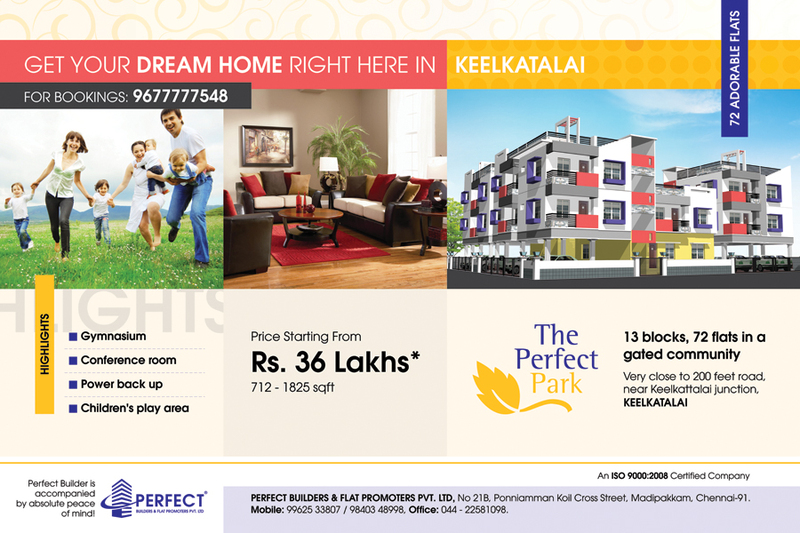 Perfect Builders is at the forefront of professional real estate services, and has build upon the strong platform set up by stalwarts from the industry. The founder, Late.Mr.C.Somasundara Pandian, was a retailer in construction materials, and brought immense market experience and expertise to the startup in 2007, being ably supported by with S.Senthil Kumar and A.Basava Punnah Reddy. The latter, who are also the directors of the company, are backed with a strong academic base and through understanding of the market – two differentiators that set Perfect Builders apart from competitors. Whereas S.Senthil Kumar has worked with Alcatel Lucent Pvt. Ltd for five years, A. Basava has worked with TCS for 7 years. Both the directors bring a lot of professionalism and long term approach to the company, and continue to be pillars of strength that Perfect Builders has leveraged for unsurpassed growth in the past 5 years.